The Health Information in Your Language page provides information about a wide range of health topics in more than 60 languages. Topics include: Alcohol and other drugs, Mental health. The NSW Multicultural Health Communication Service is a state-wide service funded by the NSW Ministry of Health to provide health information to culturally and linguistically diverse (CALD) communities and health professionals that support these communities. The MHCS multilingual website has more than 450 publications on health in a wide range of languages. New publications are added regularly. All multilingual resources are endorsed by NSW Health, and there are links to other sites which have multilingual health information. Topics include: Alcohol and other drugs, Bereavement, Delirium, Dementia, Mental health/illness, Refugee health. The Health Translations Directory is provided by the Victorian Government. Topics include: Alcohol and other drugs, Grief and loss, Mental health. Alzheimer's Australia has produced Dementia Risk Reduction Bilingual Help Sheets. Titled "Your Brain Matters", each sheet provides information in English as well as another languages. beyondblue, the national depression and anxiety initiative, is an independent, not-for-profit organisation working to increase awareness and understanding of depression and anxiety in Australia and to reduce the associated stigma. Provides written information about depression, anxiety and perinatal mental ill- health in a number of community languages. DVD, television, radio and poster materials are also available to watch online and download. The Early Psychosis Prevention and Intervention Centre (EPPIC) is a psychiatric service that addresses the needs of people aged 15-24 with emerging psychotic disorders in the western and north-western regions of Melbourne. EPPIC is a specialist clinical program of Orygen Youth Health (OYH) which is itself a component service of NorthWestern Mental Health and Melbourne Health. EPPIC has published information, in a number of languages, specific to early psychosis, for young people, their family and friends. MensLine Australia is a professional telephone and online support, information and referral service, helping men to deal with relationship problems in a practical and effective way. Information on the impact of separation on adults and children is available in Arabic and English. 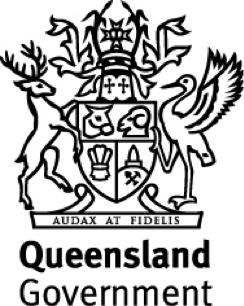 The Queensland Transcultural Mental Health Centre (QTMHC) has produced brochures in a number of languages on mental health and the psychosocial impact of natural disasters. Prepared for use by health professionals working with individuals and families from culturally and linguistically diverse backgrounds. SANE Australia is a national charity that campaigns for improved services for, and attitudes towards, people affected by mental illness. SANE promotes understanding of mental illness through education, services, and applied research which aims to make a real difference to those affected, their family and friends, health professionals and the general community. Information on the following topics is available in up to 10 languages: Bipolar disorder, Families, Psychosis, Schizophrenia, Something is not quite right, When sadness won't go away, SANE Steps - How to help when someone is suicidal, Thinking of suicide - Finding help if you're feeling suicidal, Has someone close to you died by suicide. The Transcultural Mental Health Centre (TMHC) is a state-wide service that promotes access to mental health services for people of culturally and linguistically diverse (CALD) backgrounds across NSW. It has produced information series on numerous mental health topics including: Coping with disaster, Health and well-being of older people, Healthy kids, Linking physical and mental health and a Practical guide series on sleep, stress and other topics. New consumer medication brochures became available in mid 2013. The American Academy of Child and Adolescent Psychiatry has developed fact sheets that provide concise and up-to-date information on issues that affect children, teenagers, and their families in English and Spanish. The fact sheets are also available in other languages, however these translations were not produced or reviewed by AACAP. The Centre for Addiction and Mental Health (CAMH) is a large mental health and addiction teaching hospital and research centre in the area of addiction and mental health. It has published information on the following topics in 15 languages other than English: About mental health, Asking for help when things are not right, Understanding addiction, Low-risk driving guidelines, Problem gambling, Coping with stress. Health Navigator is a charitable trust that presents information on a range of health topics including mental health. Many of the English language resources linked to the site are available in multiple languages including Maori and other languages spoken in the pacific region. Mental health related topics include: Addictions, Alcohol, Alzheimer's Disease, Anxiety, Bipolar disorder, Dementia, Depression, Depression in young people, Psychosis, Stress, Suicide prevention. The National Asian American and Pacific Islander Mental Health Association is a non-profit organisation with a mission to promote the mental health and well-being of the Asian American and Pacific Islander communities. Information about mental health and suicide, as well as community and mental health service issues is available on the website in a number of languages by selecting the translation option on the relevant page. The National Institute of Mental Health (NIMH) is part of the National Institutes of Health (NIH), a component of the US Department of Health and Human Services. It publishes easy to read brochures and fact sheets on a range of mental health topics and conditions in English and Spanish. The Royal College of Psychiatrists is the professional and educational body for psychiatrists in the UK. It has published resources about numerous mental health topics and conditions in many languages.